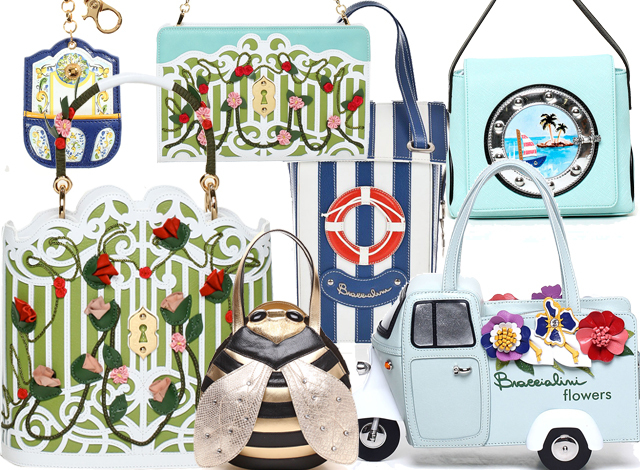 The most creative bags I know are certainly the ones from Braccialini. It's an Italian brand that sells bags of all kind, from regular plain handbags, over bags that look like cars, towards the most inspiring creations like the ones above. Of course the more creative ones are also more expensive but the quality is certainly great. Thanks to my awesome boyfriend I own three Braccialini bags myself: A normal white handbag, a clutch with perfume design and a purse style chain bag. So why don't you check out the designs yourselves? I'm really into the rose garden creations from the new spring/summer collection! interesting designs...and you're right. Having an unique bag really makes a difference! These bags are so cute and unique. They design and create it really well.